Our firm was established in 1931 by Solicitor John McGale. He continued the practice until 1978 when it was taken over by Aidan Kelly. In 2014 the firm was taken over by Barry McCaul and Paul McGinn who are continuing with the long tradition of providing expert legal advice across a wide range of sectors throughout the whole island of Ireland. We are members of the Home Charter Scheme, the Law Society of Northern Ireland and the Law Society of Ireland. McGale Kelly provides cost-effective, high quality legal services and advice for individuals and businesses. Our team take a unique approach to our work, building a close working relationship with clients and delivering easy-to-understand solutions. McGale Kelly is here to help whatever your problem. We are truly a full-service law firm, offering the highest standard of client experience. Buying a new home? Have been in an accident? Making a will? Going through a divorce? 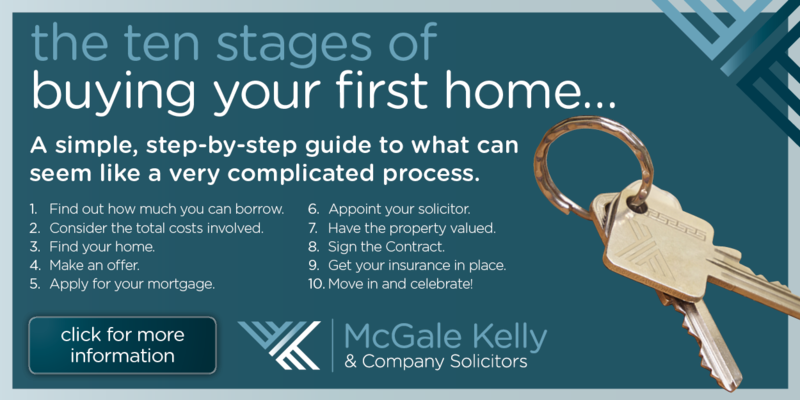 No matter what you need, you can be assured of a great personal service from the McGale Kelly team from start to finish. With the emphasis on quality and efficiency we strive to understand and meet our client's individual needs and also how best to achieve client expectation. We recognise that when you instruct a solicitor you are making a very important decision. You need to be assured that the firm you instruct can not only do the job, but can do it efficiently, keeping you informed and giving you the best advice available. We are proud of McGale Kelly's achievements to date and are committed to maintaining the highest standards of performance in a wide range of legal services. Barry helped us get our first home. Couldn’t be happier with the service he provided. As a first time buyer I was faced with a lot of firsts. First mortgage and first time needing a solicitor. With their expert advice and guidance McGale Kelly removed all stress from the process allowing me to concentrate on the tough decisions like colour schemes and which sofa to choose. I suffered discrimination in the workplace and felt my position was left untenable due to the actions of management over a sustained period. Thanks to McGale Kelly I received a compensation package to allow me to continue with my life and most of all give me my dignity back.